In 1978, a 'Factory for Sale' sign gave Alan Erasmus and Tony Wilson a name for their fledgling Manchester club night. This proved to be the launch of one of the most significant musical and cultural legacies of the late twentieth century. 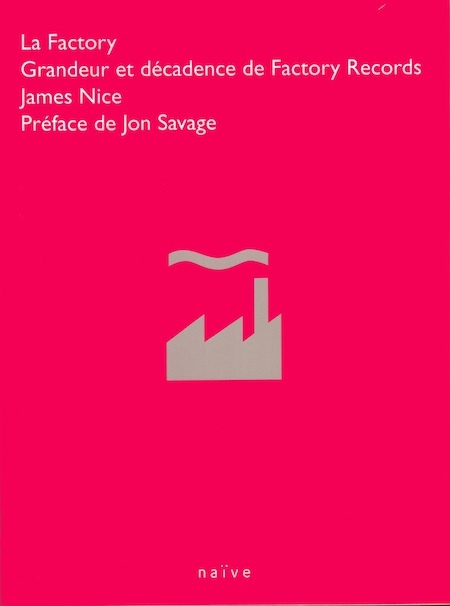 The club's electrifying live scene soon translated to vinyl, and Factory Records went on to become the most innovative and celebrated record label of the next thirty years. 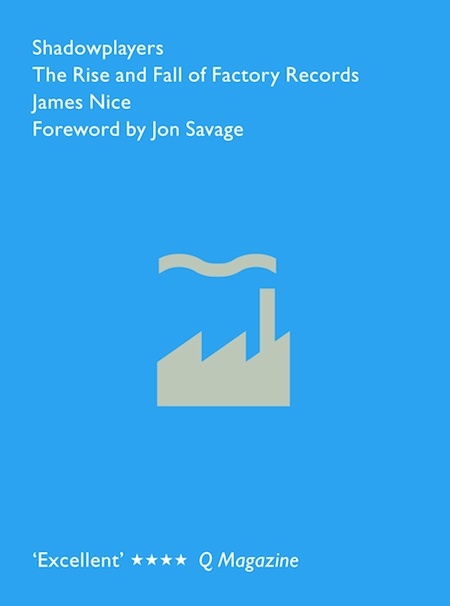 Always breaking new musical ground, Factory introduced the listening public to bands such as Joy Division, Orchestral Manoeuvres in the Dark, A Certain Ratio, Section 25, The Durutti Column, Crispy Ambulance and later New Order, James and Happy Mondays - yet its founders' avowed ambition was not chart success but 'a laboratory experiment in popular culture'. 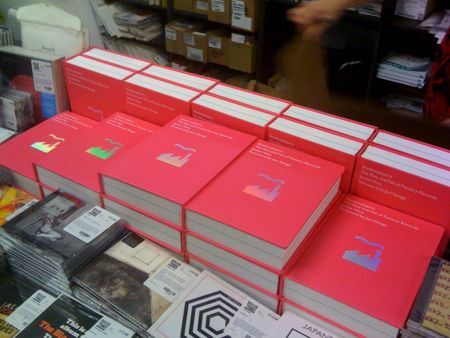 Soundscaped by visionary and troubled producer, Martin 'Zero' Hannett, bolstered by a fierce commitment to its own visual identity, achieved through the iconic sleeve designs and campaigning artwork of Peter Saville, and propelled ever onwards by the inspirational cultural entrepreneur, Tony 'Anthony H.' Wilson, Factory always sought new ways to energise the popular consciousness. 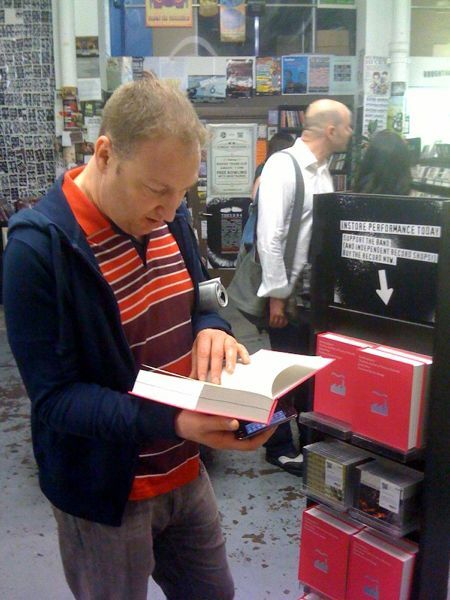 Simultaneously a vision and a folly, this restless drive reached its apotheosis in 1982 with the launch of the infamous Haçienda nightclub, a venue which would act as a midwife to the nascent dance culture, but also enjoy a chequered and sometimes violent fifteen-year history. 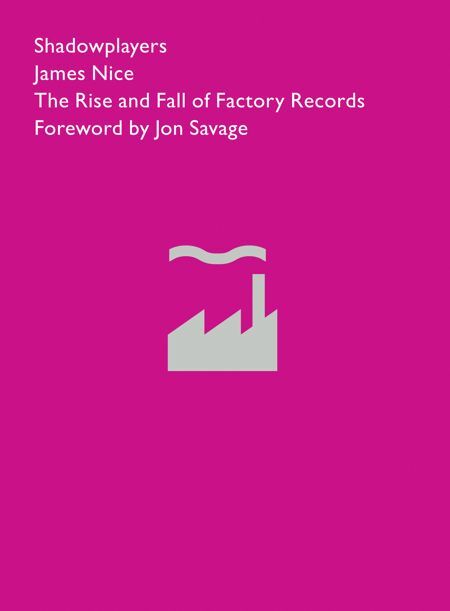 However, the lofty ideals of Factory's musical and artistic ventures were only sporadically converted into commercial success, and when in 1992 London Records pulled out of a life-saving takeover bid - due to Factory's ideological antipathy to contracts - the fate of Factory Communications Ltd was sealed. In the years since, the label has become both a legend and a cautionary tale, yet its definitive, authentic story has never been told - until now. Shadowplayers is the most complete, authoritative and thoroughly researched account of how a group of provincial anarchists and entrepreneurs saw off bankers, journalists and gun-toting gangsters to create the most influential, acclaimed and adored music of modern times. All are welcome to attend the book launch on 20 May 2010. 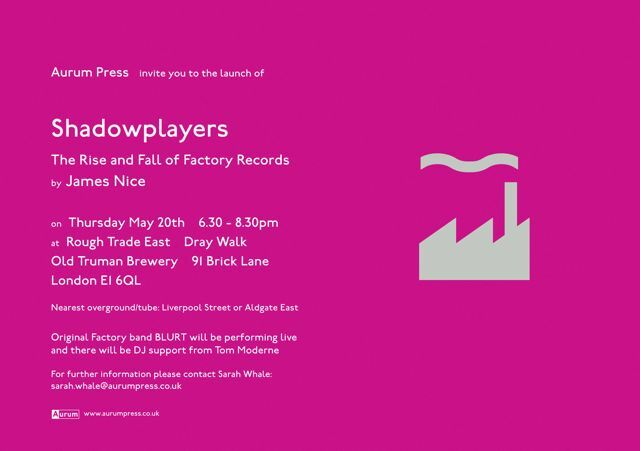 There was a good turn-out for the launch of the Factory Records book Shadowplayers on 20 May 2010 at the Rough Trade East record store in the Truman Brewery complex off Brick Lane. Alan Erasmus (who had also made an impromptu appearance @ the Maverik gallery just round the corner the previous evening for Donnelly 24's Lennie Payne launch) had briefly visited before proceedings officially got under way. 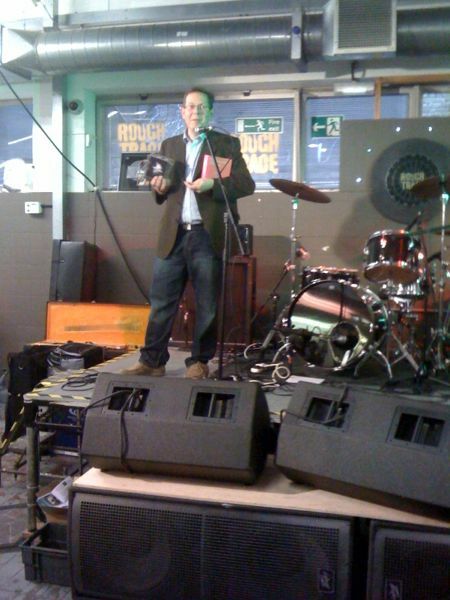 James Nice made a brief speech before introducing "true Factory originals" Blurt on stage. 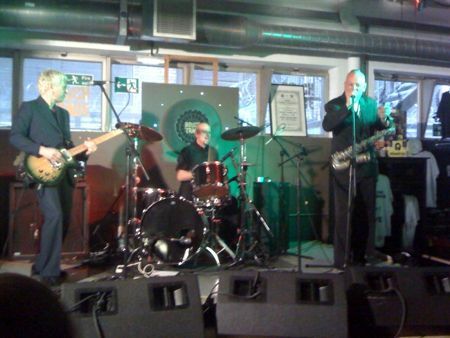 Dave Gilmour's demonic half-brother and the lads rocked everyone for a 45 minute set. 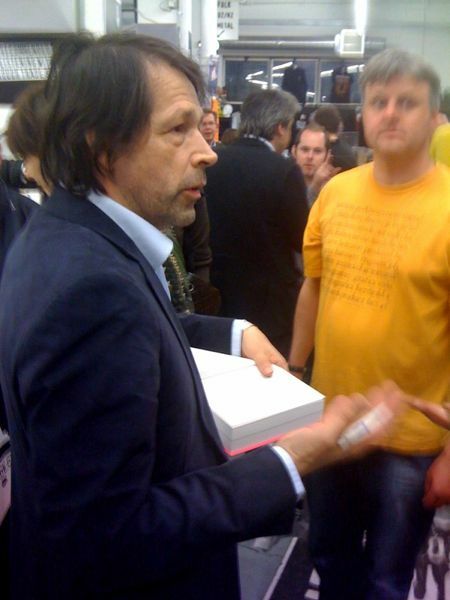 Afterwards, Peter Saville, who had come down specially for the evening from Manchester, said a few words and emphasised what a good book it is. Those present included Sean, Iain and Bunny, Mark R, Ben Kelly, Gonnie Rietveld and Matthew Robertson.